[dropcap color=”#008040″ boxed=”yes” boxed_radius=”8px” class=”” id=””]P[/dropcap]ost-demonetization of Rs 500 and 1000 notes, the Government, RBI, Banks and Post Offices (POs) are working overtime to help people surrender their old Rs 500 and 1000 notes and receive currency of legal tender to meet their immediate needs. Lack of new/ lower denomination notes and logistic constraints pose major challenges. Discerning public should come up with suggestions that won’t permit laundering of black money, to minimise the shocks and damage. Naysayers present a grim future for months and even years to come, like insurmountable inconvenience to the public, and shrinking of economic activity in all sectors, agriculture, industry and services. However, the Government has been reassuring, requesting us to put up with inconvenience for just 50 days, as this will help contain black money and stop funding to terrorists & drug mafia. Even as the Government keeps making course corrections to ease the situation, critics claim this as evidence of incoherence and lack of planning. Discerning public should come up with suggestions that won’t permit laundering of black money, to minimise the shocks and damage. Media can play an important role by debating the potential suggestions, and reaching the viable ones to the Government. We outline here one solution which, we believe, can significantly help the situation better. E-wallets (mobile money store and transfer facility) are fast emerging as a substitute for cash. Many credible players like Paytm, Oxigen, mRupee and Airtel Money now offer e-wallet. 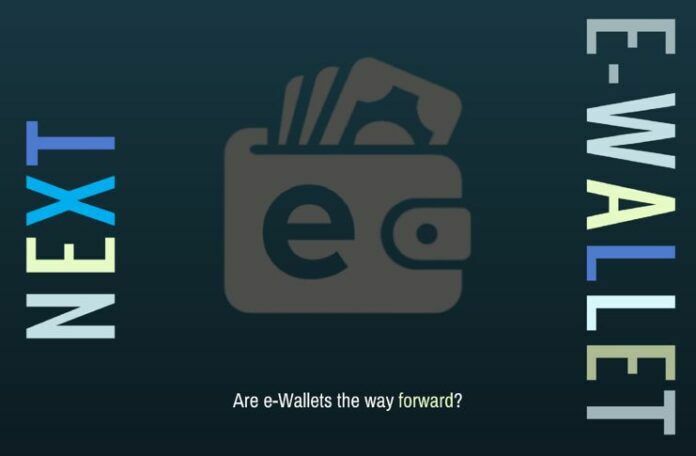 [dropcap color=”#008040″ boxed=”yes” boxed_radius=”8px” class=”” id=””]T[/dropcap]he Government has suggested use of e-wallets, but mere suggestion won’t help, without the Government actively promoting it and hand-holding people in the early stage adoption. Also, since the Government is unable to offer enough cash to the public (through banks and POs), it is the Government which has to introduce this e-cash as a substitute for physical currency to willing public. Once this is done, it will mitigate the sufferings of people substantially. This is exactly like cash transfer, but without physical currency. To start with, the Government can tie-up with e-wallet service providers, ideally one e-wallet per State to avoid the need for transfer of e-cash across e-wallets, which is not yet possible. Banks and POs can continue to collect the withdrawn notes from the people as at present and deposit in their respective bank accounts. Apart from delivering limited physical cash to the public as done now, the Government can allow unlimited amounts to be drawn from the bank accounts of people into their e-wallets (subject only to the limits imposed by the e-wallets). Representatives of the e-wallets can even sit in the banks & POs to assist the bank & PO staff. All these can be done without compromising on the checks and balances the in the process of collection of old notes. Of course, options like bank transfer, withdrawal using debit card, across the counter withdrawal in banks, etc. can all be still available, as at present. These e-wallet account holders can then do mobile transfer of e-cash to their payees from their e-wallet accounts, including to small/ big trade, restaurants, cabs, petrol bunks, Government, and even individuals (friends and relatives) into their e-wallet accounts. Such recipients can, in turn, use this e-cash to pay their creditors likewise. Since the recipients need the same e-wallet account too, the Government has to initiate this process through banks. This is exactly like cash transfer, but without physical currency. Whenever people want, they should be permitted to transfer the amount in their e-wallet accounts to their banks accounts. [dropcap color=”#008040″ boxed=”yes” boxed_radius=”8px” class=”” id=””]M[/dropcap]ost e-wallet service providers will offer this modified service free for 2-3 months since they get the chance to acquire lots of clients at zero marketing cost, and crores of people will get trained to use their service during this period. Tech-savvy people can teach the not-so-tech-savvy around us, like owners of kirana stores and milk & vegetable vendors, to use e-wallets so that they can continue with their business and lives without being adversely impacted. This will ease the crowds at banks and ATMs, as less physical cash will be required to the extent e-cash is given. More of physical cash can be routed to rural areas where there will be fewer takers for e-wallets. This simple solution, which comes with proof of payment (not available with cash payment which only encourages generation of black money) will get more people used to cashless transactions. At least some will continue to use e-wallets even after the situation has eased. On a different note, it will be a good idea for the Postal Services to offer a low cost e-wallet service, with a certain number of transactions not exceeding a certain value free per month, esp for Jan-Dhan accounts, to reduce usage of currency. 1. The views expressed here are those of the authors and do not necessarily represent or reflect the views of PGurus. An Associate Partner at McKinsey & Co, Singapore, Vidhya is passionate about the intersection of technology and government- e.g., smart cities, digital government etc. Vidhya studied Financial Economics at the University of Oxford and Electrical Engineering at the National University of Singapore. You Cannot Just Pick and Choose Your Swamy! With millions flowing in illegally, is India in for a major security crisis?